Choosing a grill or smoker as your cooking method is typically not because of the speed with which the food will be prepared, but for the distinct flavor and aroma that will accompany the finished product. Although loved by many for the taste of what they produce, people will not generally use grills and smokers on an everyday basis. This is because these methods of food processing are time consuming and can quite easily take up a couple of hours. The number one reason this time of year grills and smokers won’t be used on an everyday basis is because they are usually used out of doors and weather conditions may not permit it. While it doesn't feel like BBQ or smoker buying time right now, before we know it the weather will start warming up and the grilling bug will start itching. Read up now on a few things to consider when buying a grill or smoker and you'll be a prepared buyer when spring rolls around. Grills and smokers come in many shape and sizes and the type people choose to purchase will be influenced by a number of factors. An important factor that determines the type of grill or smoker you take home is the fuel they use, or what powers them. This can take the form of charcoal, gas or electricity. Those making use of charcoal fuel can expect more work and time to be involved, as against those that use electricity. Other factors, which will have an impact on your choice of BBQs and smokers, are where it will be used, the frequency of its intended use, and the volume of food that it will have to accommodate. 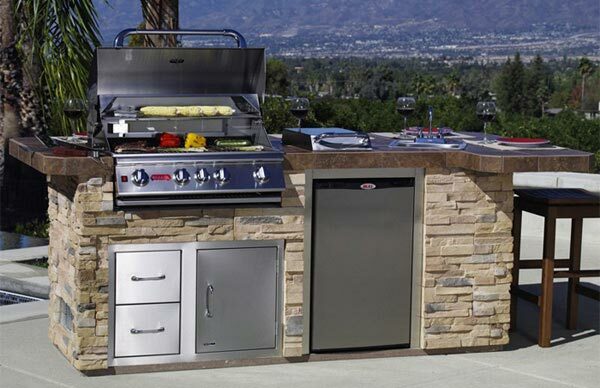 One area of grills and smokers that purchasers should pay attention to is the base. It should be ensured that the bases are sturdy, and if they will be moved around from time to time those having wheels would make the job a lot easier. Another area that attention should be paid to is the grate and the material used in their construction. There will be those made from regular steel to which food sometimes stick and which heat may sometimes warp, those made from stainless steel which are considered good, those made from cast iron which are considered easiest to clean and durable, and there are the porcelain coated and enamel ones, which apart from being difficult to clean chip a lot. While it is admitted that the preparation of food via the use of BBQs and smokers will take a bit more time than the average stove and certainly the microwave, the results on most occasions are entirely worth it. All that is needed is a little bit of practice, and a lot of time.